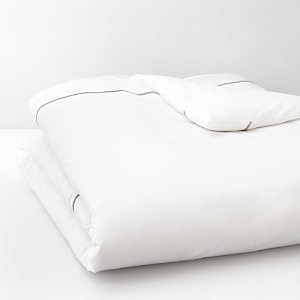 French designer bedding combining quality fabrics with stylish designs. 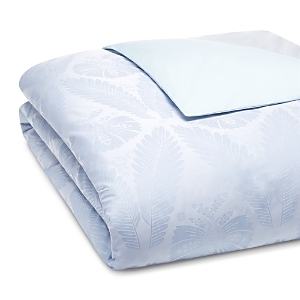 Duvet in feather print. Diamond patterned dust skirt. Tailored, platform style. Decorative pillows and shams Gradient spotted duvet. Dust skirt with contrast taping. Platform style. Decorative pillows and shams Duvet and shams in scroll pattern. Coverlet and shams in marbled pattern. Striped dust skirt and pillows. 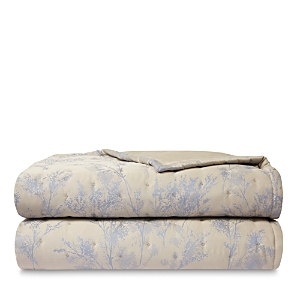 Recognized for its prints and timeless classics, Yves Delorme crafts luxury bedding that embodies the French lifestyle. Yves Delorme’s exquisite collections are distinguished by their uncompromising quality and meticulous attention to detail. 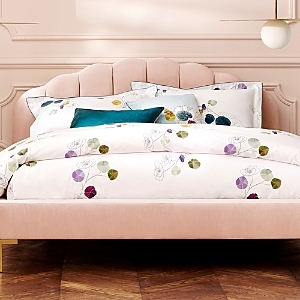 Yves Delorme's irresistibly smooth cotton sateen bedding features radiant arrays of cherry blossoms, bringing the beauty of nature into your bedroom Indulge in the luxury of 500-thread count cotton bedding by Yves Delorme. 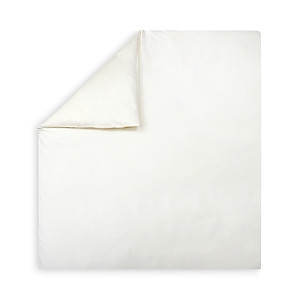 The Roma collection makes a classic statement in crisp, solid percale with a simple hemstitch. Inspired by the richness of Kashmiri patterns, Yves Delorme's detailed jacquard designs imbue any bedroom with far-flung charm. 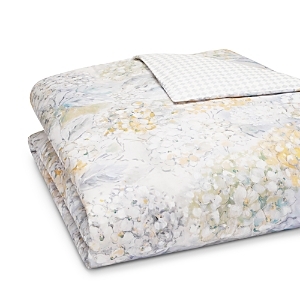 The ever-graceful, wild clematis inspired the abstract watercolor design of Yves Delorme's Clematis collection—crafted from combed, long staple cotton sateen—destined to infuse a touch of modern romance into your boudoir. 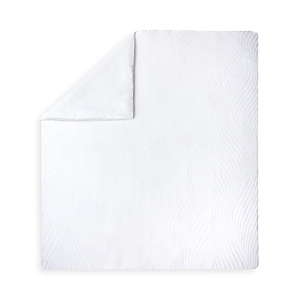 Woven in silky cotton sateen and meticulously crafted at the Yves Delorme Couture Atelier in Haubourdin France, the Adagio Collection from Yves Delorme features double saddle stitching, which breaks up the clean, crisp look of this luxurious bedding with modern texture. 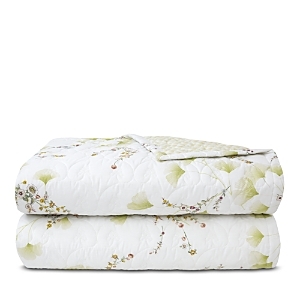 This finely woven jacquard bedding by Yves Delorme features an ethereal woodland pattern that exudes timelessness and tranquility. Fall in love with luxury. 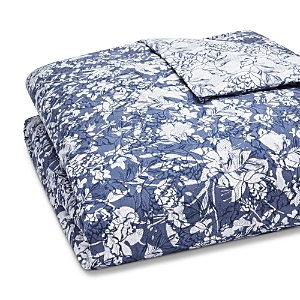 Crafted in the tradition of fine French linen mills, the Romance Bedding Collection from Yves Delorme is woven with a subtle floral that reveals variations of tone and texture. 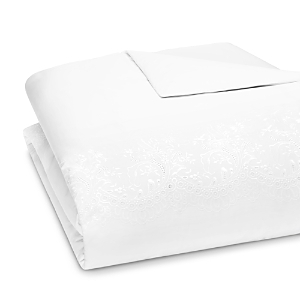 A true indulgence for the bedroom in 500-thread count cotton sateen detailed with delicate picot stitching. 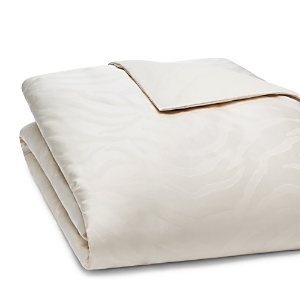 Classically elegant in crisp, 500-thread count Egyptian cotton percale, this Yves Delorme bedding collection redefines luxury. 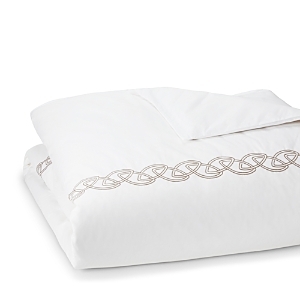 A delicate embroidered border along the duvet, shams and sheets lends a touch of texture and rich detail Embroidered anchor, chain, and rope designs lend a tailored, nautical look to this bedding collection by Yves Delorme, crafted in crisp, luxurious Egyptian cotton percale and cotton sateen. These finely woven designs by Yves Delorme seamlessly blend into any bedroom, while a delicate curved pattern and luxurious feel set them apart from your standard linens. 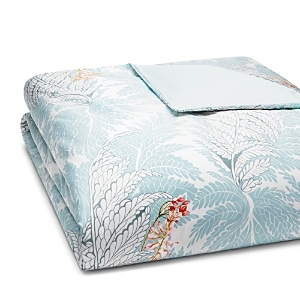 Yves Delorme's Flandre bedding collection—crafted from combed, long staple cotton percale—features a subtle embroidered inset detail and is finished by coordinated piping at the edges. Yves Delorme presents the Lutece collection, delivering 300-thread count cotton sateen bedding with a softly contrasting border and bourdon stitching. 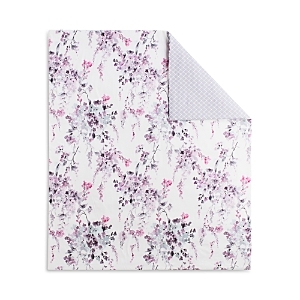 With a romantic modernity, this print combines small garden flowers with airy ginkgo leaves. 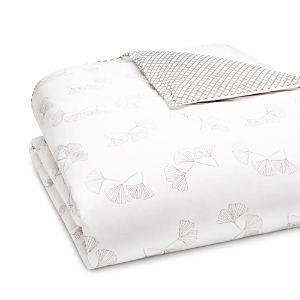 The transparency and natural pleats of the foliage, similar to a fan, to a spread wing, introduces a perfectly lightweight style, 200-thread count. The discovery of distant landscapes have naturally inspired landscape painters. The style of these Jacquard Palm Leaves were inspired by a spectacular foliage pattern from these pictorial designs for a sophisticated and majestic bed. 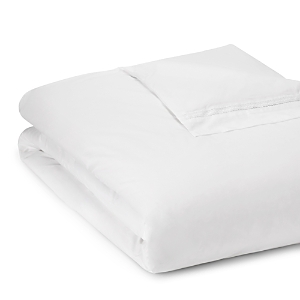 300-thread count. A sophisticated exotic garden, almost from an imaginary world, where the shimmering flowers recall the color of flamingos and dance like butterflies. Coral, white, deep green revealing the shapes. 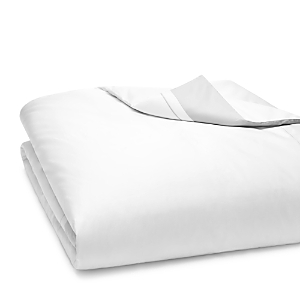 300-thread count. A white wave pleated with shade and light effects. From a spectacular graphic ladder with woven pleat details, this haute-couture design is this season's luxurious Jacquard. Delicately embroidered poppies and elaborate floral illustrations create an inviting botanical statement for the bedroom by Yves Delorme. From foliage to bird feathers, this poetically-written design is an invitation to daydreaming. 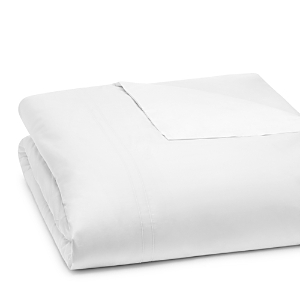 The white percale reveals the sketched outline of parrots. At the top of the trees, brushed by the wind, the blues are gentle like dreams. 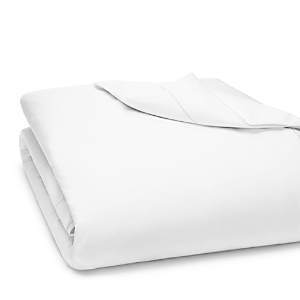 200-thread count. Farandole is a dance from the South of France, in which women wear floral crowns in their hair. 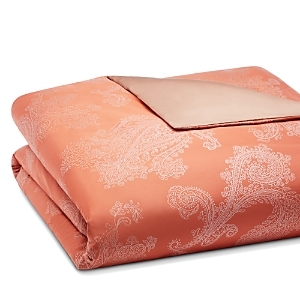 With a hand-painted look and feel, Farandole duvet covers have the crowns of flowers on the front and a stylized coral design on the reverse side. Evanescence is a famous Toile de Jouy design. 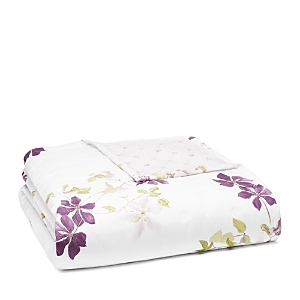 Duvet covers have the floral and figural design on one side and the candy stripe design on the other side. In French Blue on a white ground. 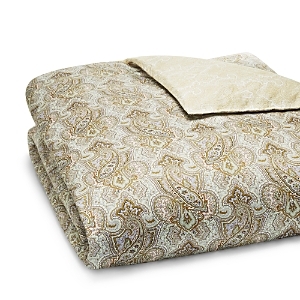 Supremely chic printed sateen design of white, with a grey and white border of a stylized paisley design. Reverse side is plain white. 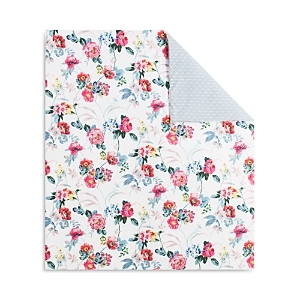 Printed with peonies in a beautiful palette of pinks, greens and grays, coordinated with a chic diamond geometric print on the reverse side. 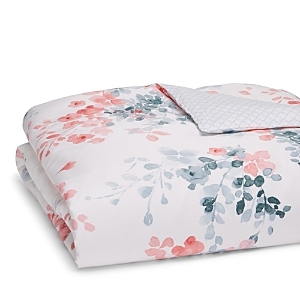 A modern garden, full of light and airy flowers in a watercolor palette of colors – corals, blues, purples, greens and white – coordinated with a modern coral stripe on the reverse side Duvet cover, shams and sheets in long-staple combed cotton percale. 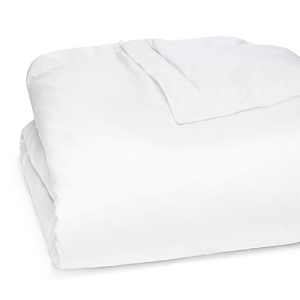 Thread-count: 200. 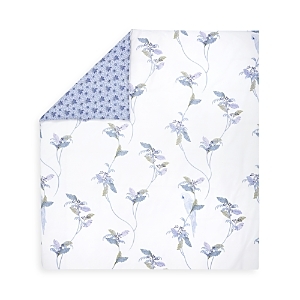 Wisteria duvet covers are white-on-white sateen jacquard design of scrolling Wisteria flowers and foliage. on both sides. The front has an overprinted design of a large scale bouquet of wisteria flowers in a beautiful palette of blues, lilacs, and mauve. 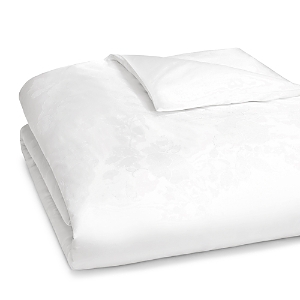 Sham in white-on-white, long-staple combed cotton sateen jacquard. 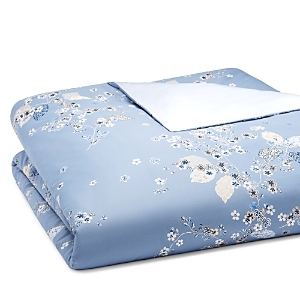 Flat bed sheet in long-staple combed cotton sateen jacquard with scrolling Wisteria flowers and foliage, overprinted with macro floral bouquet. Sophisticated and beautiful design of stylized paisleys in a chic citrus color palette, coordinated with an artistic stylized dot on the reverse side. Each with a hand-painted look. French for Bucolique, Champetre is truly special. 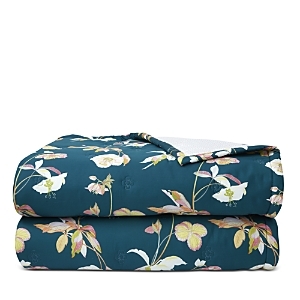 Printed in a palette of couture-inspired colors, it's a modern floral design, on an natural colored linen. The Flax was cultivated in France. Beautifully crafted in 200-thread count cotton percale, this Legende collection from Anne de Solene boasts muted fan florals with a contrasting reverse weave print. Stylized floral motifs with a hand-painted look lend exuberant energy to Anne de Solene's Poesies bedding collection, rendered in smooth 300-thread count cotton sateen.